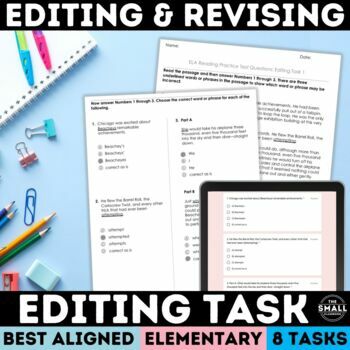 Help your students prepare for the Florida Standards Assessment (FSA) by taking these practice 8 editing tasks. 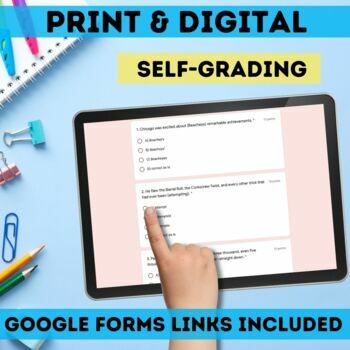 These tasks were created and modeled after the 2018 FSA paper-based practice tests for grades 3 through 5. 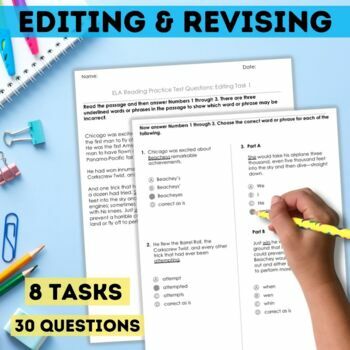 The tasks were written to give your students examples of a variety of tasks they will see on the FSA. The passages come from high-interest topics and popular youth chapter books. 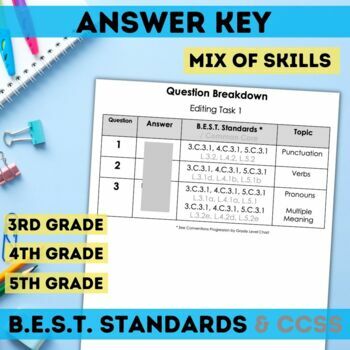 They will help engage and capture your students’ interest while also working on their test-taking skills. Spelling, Punctuation, Capitalization, Pronouns, Conjunctions, Plural Nouns, Contractions, Adjectives, Adverbs, Verbs, Prepositional Phrases, Precise Language, Revising, and Multiple Meaning Words.